In an effort to give us all a better feel for the BlackBerry slider (aka 9700a as it has shown up as... at least for now anyways as that could easily and should change), the folks over at BBLeaks have got some more pics for us to gaze over. 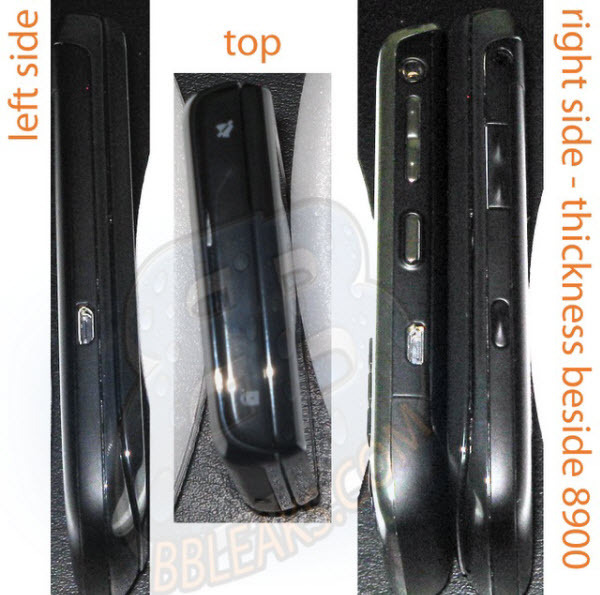 These pics give us a look at the back end of the device as well as give us a size idea by being compared to a BlackBerry Curve 8900. As with all prerelease devices, what we're looking at here is pre branded hardware. And while it may likely be close to "final form" the released models will have branding and such from carriers on them and will certainly look more polished. 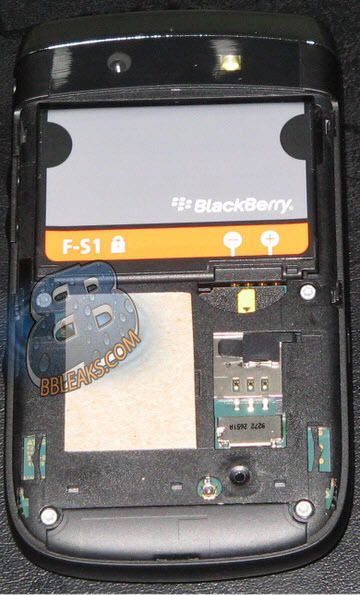 Past prerelease devices such as the Bold 9000 first showed up wearing a plastic battery door. A far stretch from the leather backing it arrived with at release. Some of you may remember the Bold 9700 was first seen with a trackball, so while pics give us a general idea, everything should be taken with a grain of salt until newer, branded hardware is spotted. Still lots left to learn about this device as the days go by, hopefully we'll get to see a better look as many, many questions remain unanswered here. What about the camera? Is it 5MP and making use of the liquid lense we heard? Or is it still running the old 3.2MP that has been standard. What about the screen? Is it touchscreen? OS it's running, if any? Here’s to hoping someone out there can actually get an up close and personal look with one that actually powers on at some point. Now, with these new pictures showing up has it changed your thoughts on the device? One more picture after the break of the side by side with an 8900.